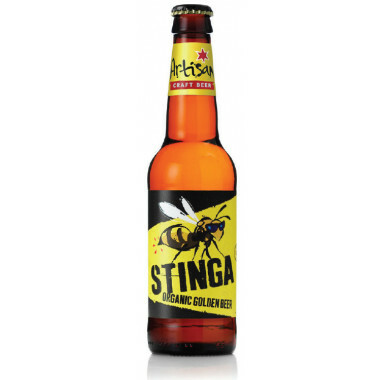 Stinga is an organic blond beer from Wales with fruity notes. The Artisan Craft beer brewery is inspired by today's demand for the creation of its beers. This Welsh brewery offers innovative beers and combines several varieties of hops from around the world. It offers quality malts to create unique and exciting flavours and styles of brewing. 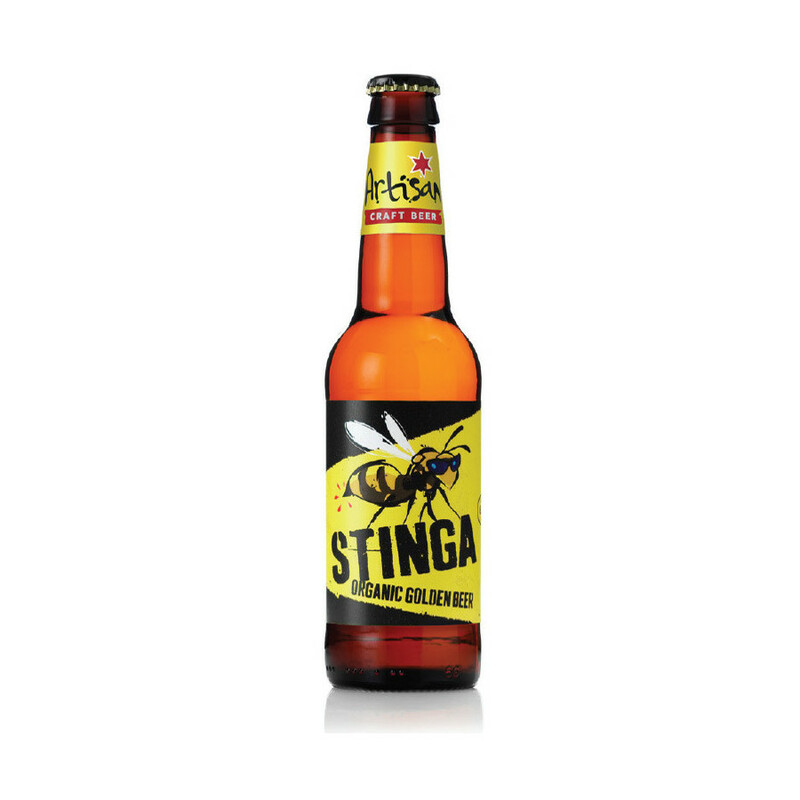 The Stinga, is an organic craft golden ale that offers tasting delicious fruity notes, marked on the finish in the mouth. Serve between 8 and 12 °. 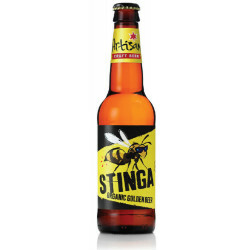 This beer goes perfectly with fish, grilled chicken or vegetarian dishes.